The web file manager of ConfettiDisk is compatible with the latest versions of all major browsers. Looking like the basic computer file managers, Explorer (PC) or Finder (MAC), the file manager is easy to use with functions like drag and drop, tree, sorting, contextual menu... All basic features are easy to understand and use. The files are saved in a secure cloud drive. No access is possible without our account id. 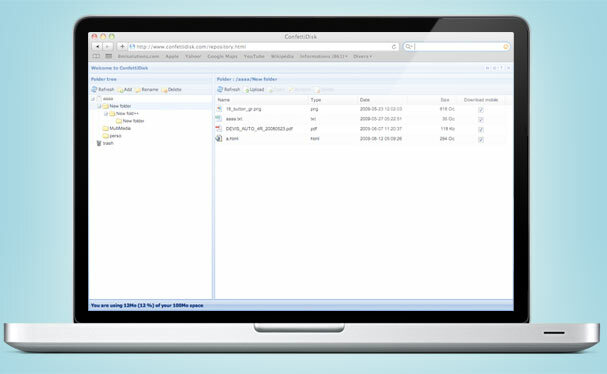 Stored in cloud you can access our files from everywhere, and of course from your mobile. You can upload all kind of files, documents, images, music, but also zip, binary... Of course, some of them are not viewable on the mobile device, but you can use ConfettiDisk to backup or share them. Share folders with managed users. Add the privileges to read or write on the folders with a full control. * : for individual or business plan only. Edit and save the text and html documents from your browser, the updates will be synchronized on your device on the next launch or refresh. Add any advice, comment, ... to files. 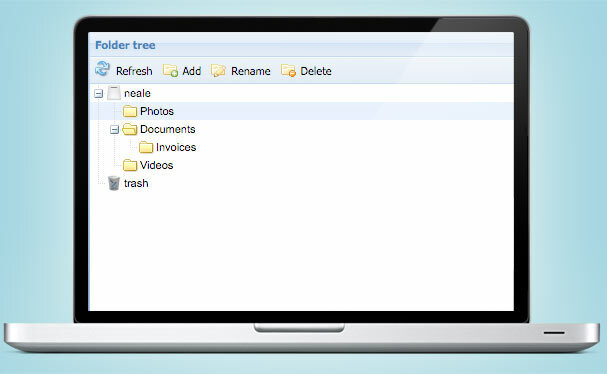 An easy way to enrich the information of your files.